One Lion Sound have been putting on shows in the south west for nearly nine years, what started life as a small online radio show has come to establish itself as a key player for Hip Hop events in the UK. Showcasing high-profile artists such as THE FOUR OWLS, DEAD PLAYERS, LDZ, SPLIT PROPHETS, DIRTY DIKE, GENERAL LEVY, JAM BAXTER, CHESTER P, AKALA, FLIPTRIX, JEHST, to name just a few. 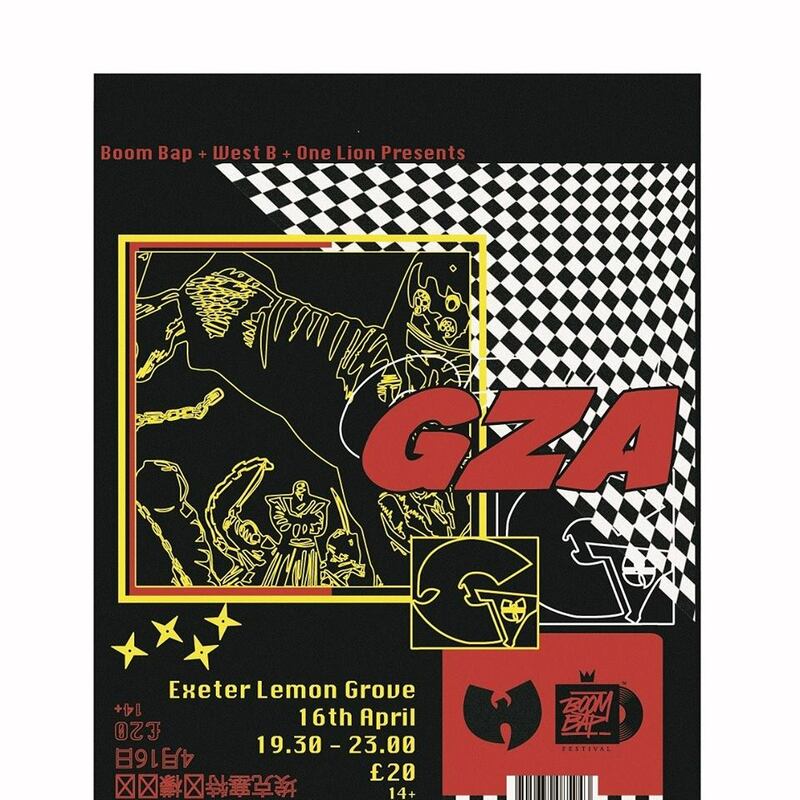 We are very pleased to announce we will be teaming up with Boom Bap festival to bring GZA to Exeter lemongrove this April! The Prophecy - Doom Lagoon - OUT NOW! Four crazy aliens from cornwall land the ship once again to bring you a torrent of infectious flows and brow-bouncing funk. The quality of an LP compressed into seven tracks is heard throughout as each MC gives you no time for your attention to shift, while the clean-cut beats and airy melodies invade your mind. Each voice and style is as distinct as the next, collectively bringing a rhetoric that makes it clear these guys aren't messing about! Conveniently compact, this twenty minute release is available for free on bandcamp, so what are you waiting for?! 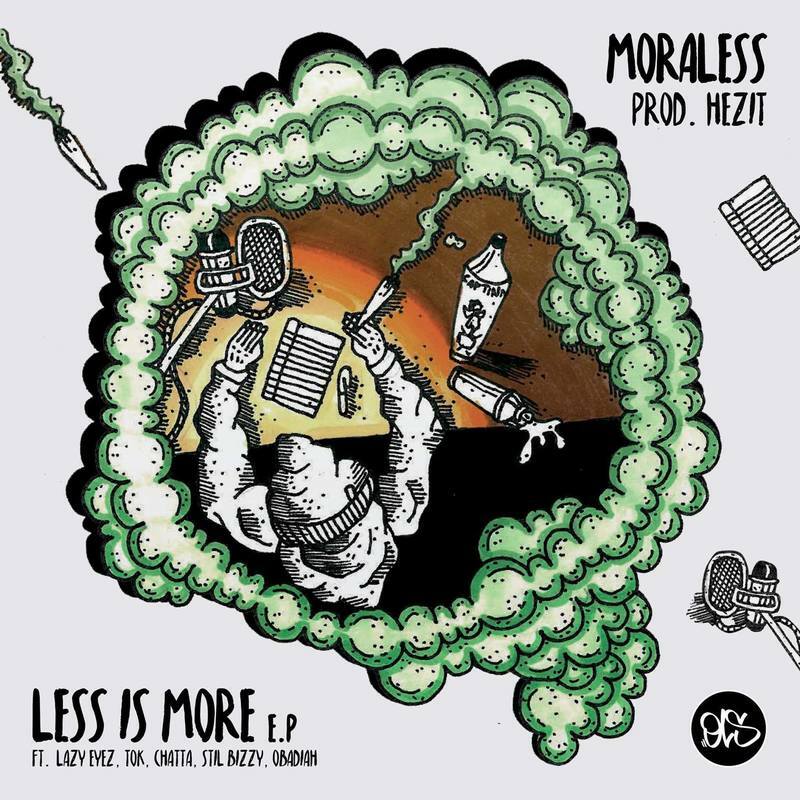 Moraless - Less is more EP - OUT NOW! Moraless has released his first Solo EP; Less is more just in time to cradle those ringing ears, returning from the festival, in dire need of some actual furniture to sink into. OLS Review coming soon! The Moose Funk Squad are a UK Hip Hop power group consisting of all three MC’s from legendary live band Granville Sessions as well as certified legend and long term vocal collaborator Jester Jacobs. Accompanied by SMB representative Fourni P with production from Cambridge beatsmith P739 and cuts from the infamous DJ Sugai. This is Granville Sessions, meets Organised Mess meets some of the finest production and turntablism the south east of this fine isle has to offer. we get excited a lot here at One Lion HQ. This time its for the real deal, the big one…. it’s time for a look at an EP from Devon's very own JoeBurn. The project is titled ‘Spark It Up’ and features production from beatsmiths such as Blazensein and certified legend in the game, Skitz. On top of this world class production theres vocal features from fellow southwest vibesman and soundsystem session don, Shire Roots as well as veteran ragga-hop collaborator, Deadly Hunta. Motion Enterprise are a true-to-their-roots, straight firing hip hop collective based in Gloucester consisting of Mc’s Kadenza, Farai, Catchy P and Sketchster (who also does the lion share of production, mixing and mastering) as well as DJ Ryno and badboy beatboxer, Stromboli. Jon Phonics is an understated but highly regarded producer who isn't scared of venturing in different directions away from hip hop and has been extremely successful in fusing various electronic styles, but is (and has been for some time) firmly routed in the scene and regularly works with the cream of the crop. Towards the front end of this (not yet finished) summer of muddy fields and geometric patterns in the sky, we got wind of an immanent solo LP release from a relatively unknown yet extremely powerful force in the UK underground scene. High Focus recently put the word out that they would be releasing an EP produced entirely by Dirty Dike butdidn't, at first, confirm the artist on the vocals. Keyboard theorists and inquisitive fans quickly jumped in to action and guesses as to who would belacing the beats started flying and we even had a few guesses ourselves.....and then we got news. CHECK OUR BLOG FOR MORE REVIEWS, INTERVIEWS AND FEATURES! The Prophecy - Straight Buggin' LP - Out now! A little bit about our sponsors and good friends here at one lion THTC : Established in 1999, inspired by the heartbeat of urban culture and environmental activism THTC has been producing some of the most demanded t-shirt prints for over a decade. In there words "THTC is not just a brand. THTC is an extended family of talented musicians, poets, actors, dancers and activists. If you've ever bought or worn a THTC t-shirt you are helping to spread our message and we thank you. THTC fam, you know who you are!!"